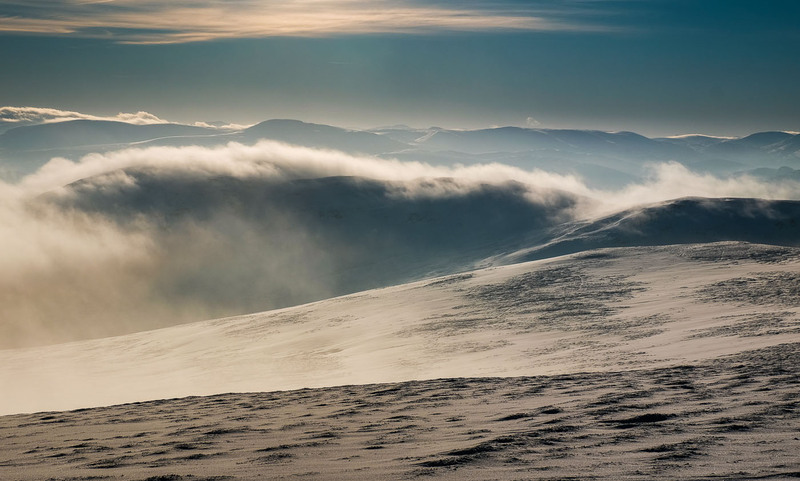 The John Muir Trust today expressed its delight after winning a crucial judicial review against the Scottish Ministers and Scottish and Southern Energy (SSE) regarding Ministers’ consent for an industrial-scale wind farm at Stronelairg in the Monadhliath mountains. The 67-turbine development, which would have extended over an area the size of Inverness, was given the go-ahead by Energy Minister in June 2014. Seventy per cent of the Stronelairg site consists of wet peatland, Scotland’s miniature version of the rainforest, would have faced severe disruption as a result of the excavationof 22 million cubic feet of stone from the area. Lord Jones ruled in his decision released today (4 December) that members of the public had been denied the opportunity to comment on a revised planning application for the proposed wind farm, and that Scottish Ministers did not take into account Scottish Natural Heritage’s objection in principle to any wind farm development at Stronelairg. Due to these errors, Lord Jones reduced the Ministers’ decision to grant consent for the wind farm. “Due to the impact this approval had on a wild land area – which led to Scottish National Heritage removing a significant area from its Wild Land Areas map – the Trust very reluctantly took this judicial review against the government. “The Trust will now be asking Scottish Natural Heritage and the Scottish Government to reinstate the Stronelairg area in the Wild Land Areas map, giving an important piece of our natural heritage – including vast swathes of peatland which help to mitigate climate change – some measure of protection. “SSE should recognise that this was the wrong development, of the wrong size and in the wrong place. The company now has an opportunity to show that they are listening to communities and tourism bodies and to engage with others to revitalise the natural environment there rather than pursue this damaging development which would cover a footprint the size of Inverness.